Why 85 TSSP Constables Of 13th Battalion Absent From Election Duties In Mancherial? What Telangana Villagers Need Is ‘Mini-Processing Units’ For Agri-Products In Food Industry? How India’s ‘Tata Tea’ Ended Up In ‘British Homes’? 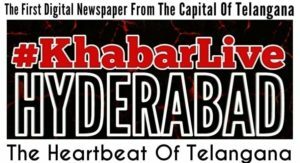 Why The ‘TISS Hyderabad’ Scrapped BA Course And Why Students Going On Hunger Strike?